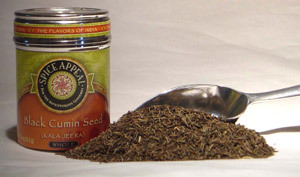 A smaller, thinner and darker seed than the traditional cumin seeds. They taste sweeter than cumin with a lemony, caraway-like accent. Flavor becomes nuttier with a richer and mellower flavor when toasted in oil or dry roasted. Use in North African meat stews, lamb roasts, couscous, sausages, vegetables and Middle Eastern ground meat dishes. Add to Indian yogurts, chutneys, curries, biryanis, kormas, kebabs and garam masalas. Enhances the rich creamy sauces of Kashmiri meat and rice dishes.